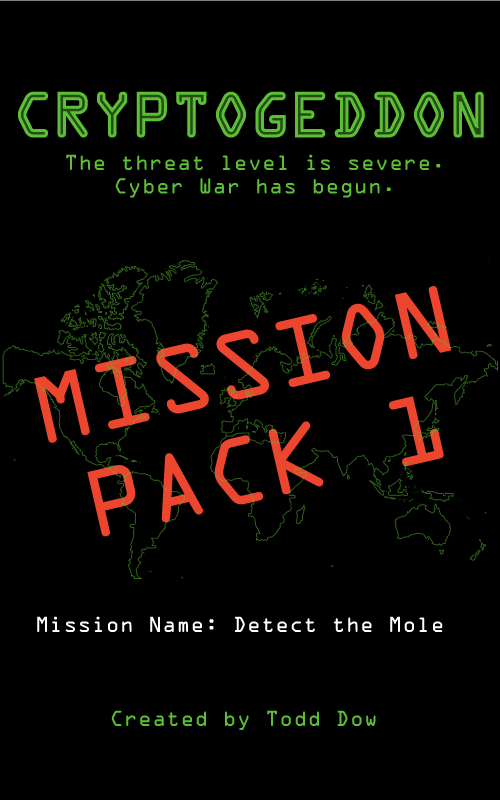 Cryptogeddon is an online cyber security war game that challenges you, the reader, to apply infosec tools and techniques to solve technology puzzles - an online scavenger hunt, if you will. 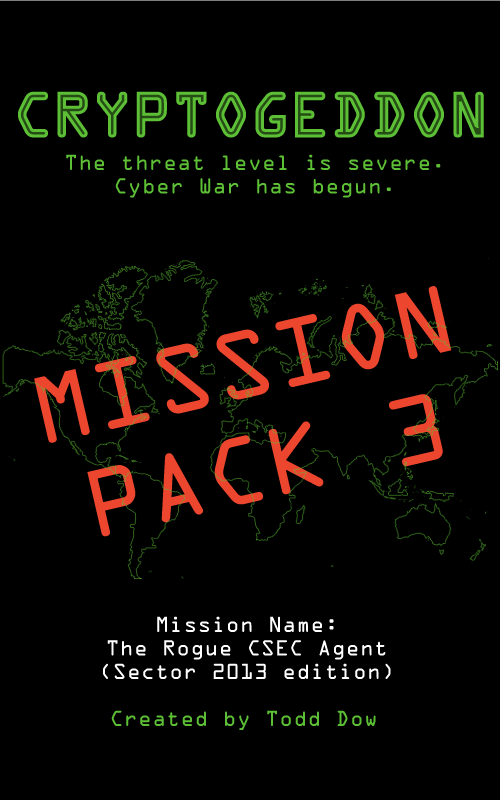 We publish mission packs, each of which is sold as a short pdf ebook of about 20 to 30 pages. After purchasing, you will receive a link via email to download your digital files. If you are drawn to puzzles, infosec, cryptography or computers, then you will enjoy Cryptogeddon. 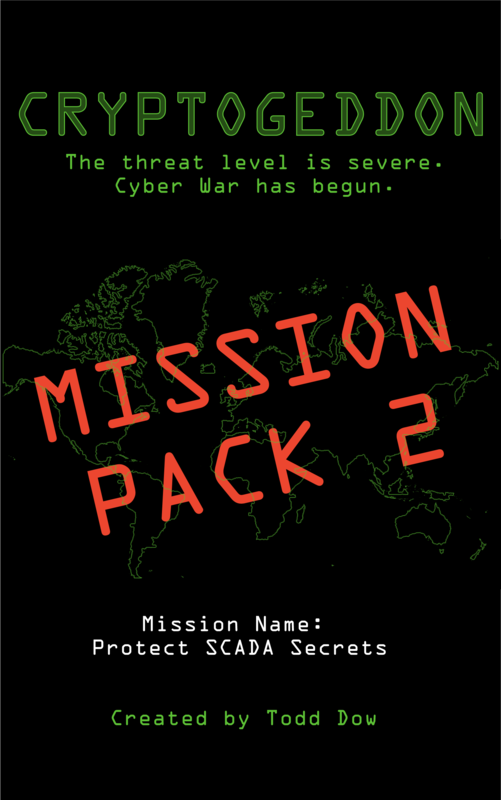 The challenges presented by each mission will keep you engaged, entertained and enlightened. If you're looking to test your skills, expand your knowledge and learn more about these topics, then you're in the right place. 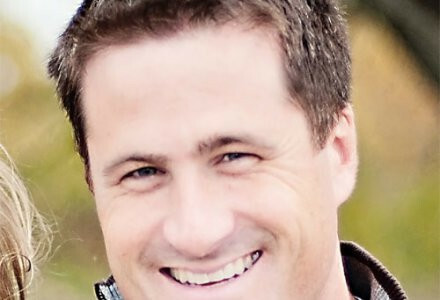 Cryptogeddon was created by me, Todd Dow. I’m an author, geek & CF fundraiser. My wife, my kids, faith, baseball, infosec & devops are a few of my favourite things. Professionally, I specialize in information security, risk management and IT operations. I have earned my Certified Information Systems Auditor (CISA) and Project Management Professional (PMP) designations. I participate in various local conferences and groups (Sector, SC Congress, TASK) and I follow numerous infosec initiatives, including TrueCrypt, Backtrack, Kali, BlackHat and SANS Computer Forensics. As a point of personal pride, I won a prize for being in the top 3 participants within the first hour of a three hour hack night at a Symantec Cyber Readiness Challenge in Toronto in 2012. Unfortunately, I did not place in the top 3 at the end of the night – I got tripped up by a stupid mistake early in the competition that slowed my progress. I earned my Honours Computer Systems Technology Diploma from Mohawk College in 1997. As well, I earned my Specialist Honours Degree in Philosophy and Religious Studies from the University of Toronto in 2006. Additionally, I have completed some graduate work at McMaster Divinity College. Previously, I earned my second degree black belt in the martial arts of karate, tae kwon do and jiu jitsu. This grounding in both eastern and western philosophical and religious traditions has provided a breadth and depth of experience that I bring to my writing and critical thinking. One last thing… This site is not related to, nor does it reflect the views of my employer. 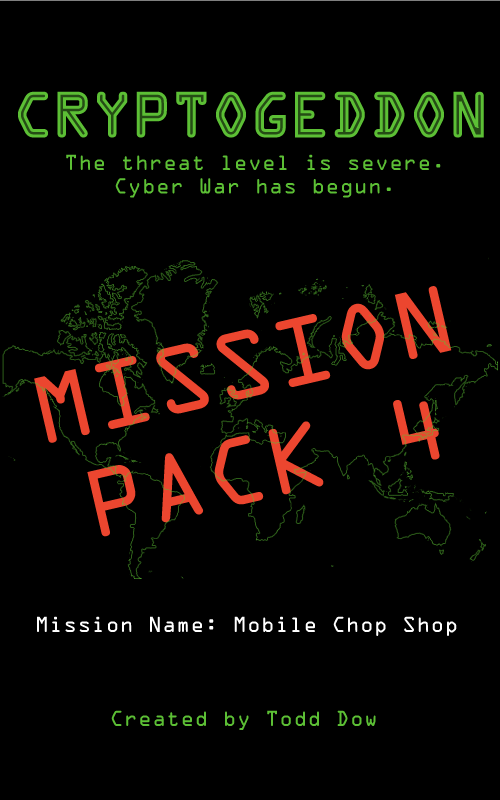 Cryptogeddon is an Online Cyber Security War Game simulator. Subscribe to our mailing list and follow us on twitter (@cryptogeddon) to keep up to date.